Myrtle Beach is special! Not only do you have the ocean in front of you, but a whole host of waterways, rivers, and inlets, behind you. This means there are so many amazing places for watersports and ocean fun. You can explore rivers by jet ski, jump on a banana boat for some family fun, or go far offshore into the Atlantic to catch deep sea fish. 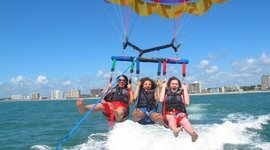 This list is meant to help your family learn about all the Myrtle Beach watersports available during your vacation. You’ll find tons of local recommendations for businesses to use. It’s like tubing, but instead of 1-3 people on the back it’s the whole family. And instead of a tube it’s a long, silly looking inflatable banana. Going around a turn, this awkwardly shaped raft will often flip you all into the water. It can be fun to see who can hold on the longest, but just as satisfying when everyone gets dunked at once. Jetskiing is a huge rush. It’s basically a motorcycle on the water. Believe it or not, it’s also an exciting way to explore the wildlife that lives throughout the marshes and waterways of South Carolina. You can book an eco-tour with the family or as a couple and cruise alongside the dolphins that swim just offshore. 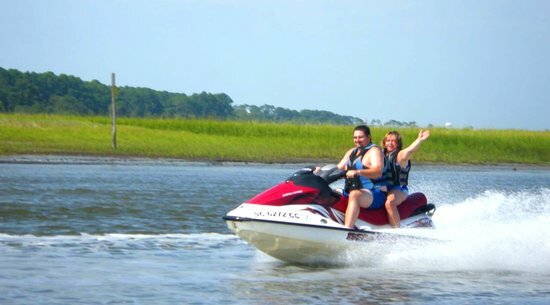 For a complete list of Myrtle Beach jet ski rentals, check out this helpful directory. It’s one of those bucket list things. You strap yourself into a harness with your best friend or trusted family member and hold hands as you’re lifted over the sea by a parachute and a speedboat. It’s like skydiving without ever having to jump out of a plane. 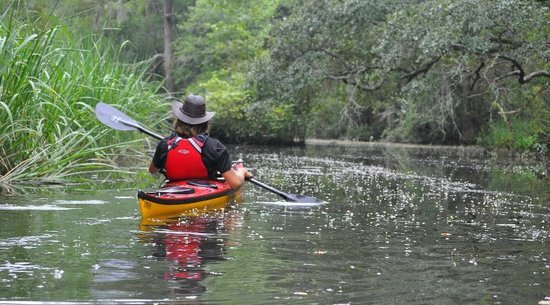 Kayaking is one of many nature adventures in Myrtle Beach. 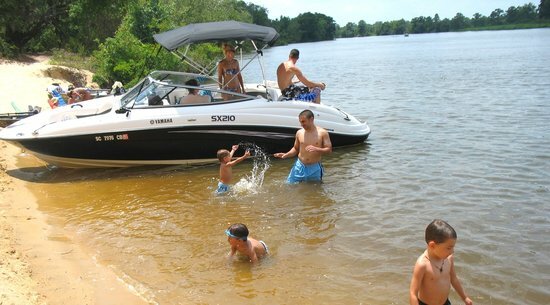 It’s safe, kids of all ages can do it, and it puts you closer to the water than any other form of boating. There’s nothing like paddling up quietly to a snowy egret or seal. You just can’t get that same personal experience with nature in a motor boat. Plus it’s a great source of exercise that will make you feel accomplished by the time you’ve made it back to the dock. For Kayaking, Myrtle Beach has a phenomenal variety of places to explore. 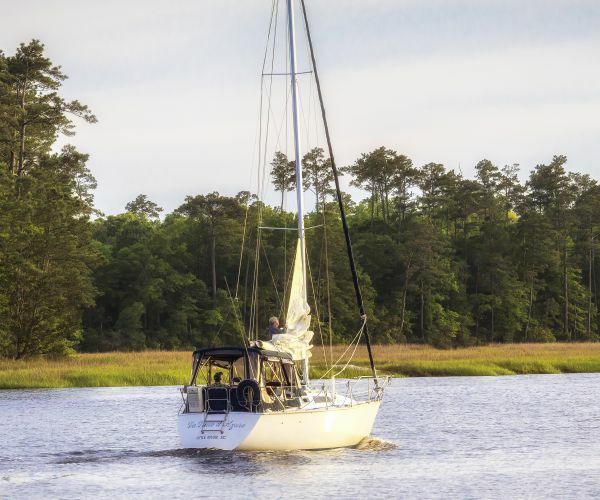 You can cruise along the Intracoastal Waterway, venture out into the ocean, or explore the salt marshes of Murrells Inlet. You will get wet though, so be prepared to bring an extra change of clothes. When you think of surfing, you usually think of Hawaii or California. But Myrtle Beach also has a few surf spots of its own. The waves may be smaller, but it’s a great place for beginners because the surf is gentle and the shore is mostly softer sand. I recommend bringing a boogie board and skim board too, as the waves are only knee high and it’s nice to have a backup activity. If you’re really craving bigger waves, head north to Wrightsville Beach, NC or south to Folly Beach, SC, where you’ll probably have better luck. 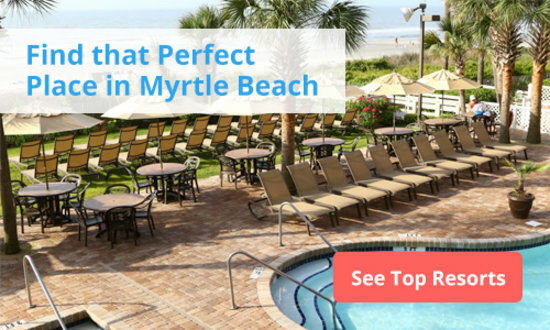 Want to learn how to surf or where to rent a surf board in Myrtle Beach? Stand up paddle or “SUP,” as it’s affectionately known, is a fun family watersport that’s really taken off over the last few years. 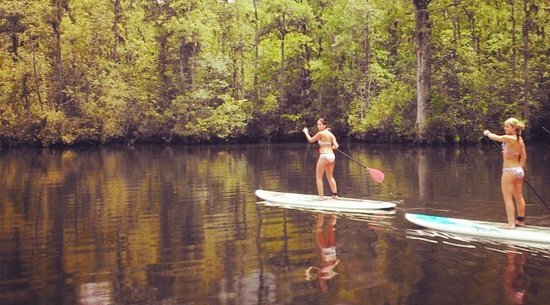 Myrtle Beach is a great place for SUP because the waters of the Intracoastal Waterway are often as smooth as glass. If you want more chop you can head out into the ocean. Kids will also love exploring the islands along the shores and inlets. But sometimes, there’s nothing like a calming paddle through forests of magnolia trees and Spanish moss. It’s so meditative that some people even dare to do yoga right on their boards. Myrtle Beach is a diverse place for fishing. You have freshwater rivers with Bass and Catfish, inland estuaries with Red Drum and Spotted Sea Sprout, fishing from the pier with Spanish Mackerel and Tarpon, and offshore tours where you can catch Blackfin Tuna and Snapper. It’s up to you how much you’re looking to spend. You can fish for as little as $20 with rod and tackle rentals on one of Myrtle Beach’s many piers, or you can book a fishing charter for hundreds of dollars. 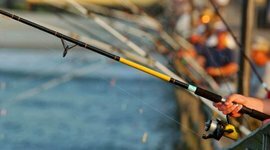 Take a look at the weekly fishing report before you go. Go all out and rent your own boat for the day. If you know how to drive a motor boat, this gives you the freedom to explore, play on the water, and fish at your own pace. 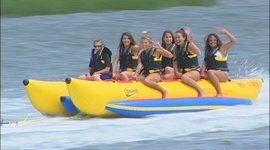 You can either go for the speedboat, perfect for covering a lot of distance, tubing, or waterskiing, or you can rent a pontoon boat and take it slow, as you cruise along the mellow waterways. 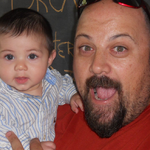 Both are fun and can be an amazing group activity with friends or one or more families. 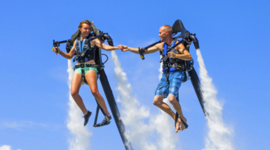 Welcome to the watersport of the future! Here in Myrtle Beach, you can strap yourself onto a water-powered jetpack, pull a lever and soar 15 feet in the air. You become weightless, as you navigate above the water. Don’t worry, you’ll have a flight instructor and flight navigator to guide you. And then there’s the flyboard. Instead of wearing a jetpack on your shoulders, you place your feet on a real-life hoverboard. It looks like something out of Iron Man or Back to the Future, and gives you the freedom to maneuver more easily than the jetpack. Keep in mind that you must be over the age of 16 to do these activities, and must have parental permission if under 18.